I was an advocate for the Walz hire...no regrets. I didn’t believe he would lose this class. That’s beginning to sound like whatever wrong sounds like. I know to preach doom before a hire and every waking moment afterwards is no way to call yourself a fan. All the supporters labeled “bluehairs” should feel vindicated imo. 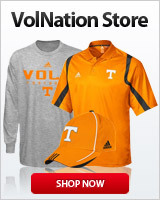 So much for people saying that the recruits don't even know who Pat Summitt was, and what this sport used to be, at UT. This is great news. I love that everyone also said that they signed with UT, and not the coach. Also, love that they decided so quickly. Maybe the program has a little life in it after all. To be honest, Kelly was not my first choice, but being able to keep this recruiting class together is a big step in the right direction. After hearing this news, I'm feeling much better today than yesterday about Kelly being Head Coach of the Lady Vols. I hope Evina stays don't matter to me who plays point guard and who plays the two. Horston gonna make a huge difference in the team. Davis needs to stop the bad turnovers and get more aggressive she is way to passive in her play. Centers will be young but they have the length and height to be very effective even as freshmen. The next coaches job will be to get these players mentally prepared and raise their playing IQ. What I saw on the court was a team making a lot of bad decisions with the ball. The mental mistakes were costing us defensively and offensively. The number of possessions we lost every game because of bad decisions were enough to win several of the games we lost. We hope no honeymoon for Kellie the one thing Holly left her was the players to be successful. It was obvious after seven years Holly didn't have a plan and we'll see if Kellie has one. Kellie was not my 1st, 2nd or 3rd choice but the players and recruits seem to be okay with it and I hope the best for all of them. Time will be the judge of how good of a hire this will be but that is true for anyone they could have hired. Your "highlights" reflect my hopes to a tee. It was hard for me to imagine a man as coach of the "LADY VOLS"
It also excites me that these incoming young ladies and their parents appear to be all in and all Lady Vols. Being a Lady Vol is important to girls that come to Tennessee. Imagine that. Holly was right about one thing when she said, "Girls come to Tennessee because it's Tennessee." And Kellie may have been my favorite Lady Vol athlete of all time. Even before this job was open. This year, and the next few, we'll get to see how much of Holly Warlick's highly ranked recruiting classes were because of her, how many were because of her staff, and how many were because of the program presence and reputation. I've been pretty adamant that #3 had more to do with it than some might suspect, though I admit it will have fallen off a bit due to the lack of success in the past decade. Still. I am hopeful that this is a sign that a lot of coaches could come to Tennessee and get great results when selling the brand. Not to take away from heavy lifting done by the assistants to build the relationships. Or Holly, who I'm sure did that as well. Just -- I'm convinced that, similar to how Kentucky or Duke can elevate a coach in the men's game by the program strength ... well ... here we go. Time to find out. LOL. She's good but let's not get carried away. She's nowhere near in Candace's league. She's not even the unanimous #1 in her class. Hiring a past player wasn't an absolute necessity, but all else being equal or near equal, it was a very good idea. Now that the hire has been made, we all might as well embrace the fact that Kelly played on 3 National Title teams while at Tennessee. These young ladies prove that tadition is still very important for Lady Vols Basketball. "I don't know [Harper] yet, but I'm excited to meet her," Horston said. "Tennessee is not going to pick the wrong person as coach. ..."
Holly has even admitted that herself. I remember her being interviewed after particularly good signing class they asked her how she did it and her answer was, "It's Tennessee." Holly wouldn't leave on her own fuition. She heard the sound of the drum & just ignored it. I am telling you for sure, she's not going anywhere. This system enable players to send a warning message.